Despite what anyone says, I really don’t think I’m suffering with ADHD… and if you must, I prefer the description of an obsessive compulsive disorder for multi-tasking! At any one time, I sit on the Board of Directors of 4-5 companies, manage an early-stage company as their CEO, apply for my own patents on inventions that seem to spring-to-mind, constantly raise money for new ventures, and monitor my own personal investments in a handful of other small companies. So writing a fictional medical thriller based on all of these actual experiences seemed natural. The exciting story behind this book is that it’s based on dozens of actual cutting-edge medical technologies that I’ve had personal experiences with, as well as the people that were behind them. The Prologue is a true snap-shot of my work experience in a human genetics lab during my college years as a pre-med student. We were forbidden from discussing what happened there behind those closed doors and it took over thirty years for me to eventually “tell the story”. Two decades later I was asked to join a group of scientists to start a company that pioneered the development of the first embryonic stem cells. The scientist/entrepreneur inside me didn’t even stop to think about the political or moral issues that proved to make this one of my most challenging ventures. Years later, I had an opportunity to review an actual business plan that touched on the concept of mobile abortion units. Then after reading dozens of articles about foreign human trafficking that was occurring for the sake of providing stolen organs for those in need, an acquaintance of mine finally secured his desperately-needed new heart by writing a sizeable check. The essence of EQUITY of EVIL started to take shape. Ironically, it sat idle in the back of my brain until I finally grew weary of reading hundreds of novels on long international flights over the span of a twenty-five year career as a start-up CEO. While on a cruise ship with my wife, pacing as she read some novel about serial killers, she finally suggested that I go down to the ship library to find “something interesting to read”. After replying that I would rather “write my own”, she prompted me to do. 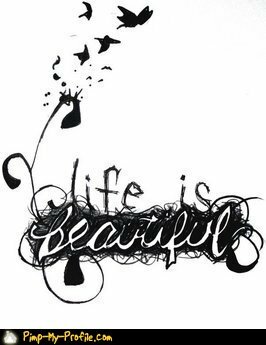 Within hours, the components of all those years of observing realty that was stranger than fiction, flew from my pen to paper. A year later I was signing an agreement with a freelance editor to help me “clean up” my manuscript. Little did I know that he was really being commissioned to help educate me on the nuances of writing. Nine months later, a potential Literary Agent (who now represents me) challenged me to engage one of their agency’s editors to fine-tune the story before they would consider testing the interest of possible publishers. 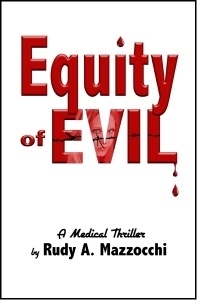 So here we are today, with the release of my debut novel as an author without any brand recognition, trying our best to promote a bold, raw, cutting-edge novel that is going to hopefully shake up the medical thriller genre as the first in a trilogy called “The EQUITY Series”. 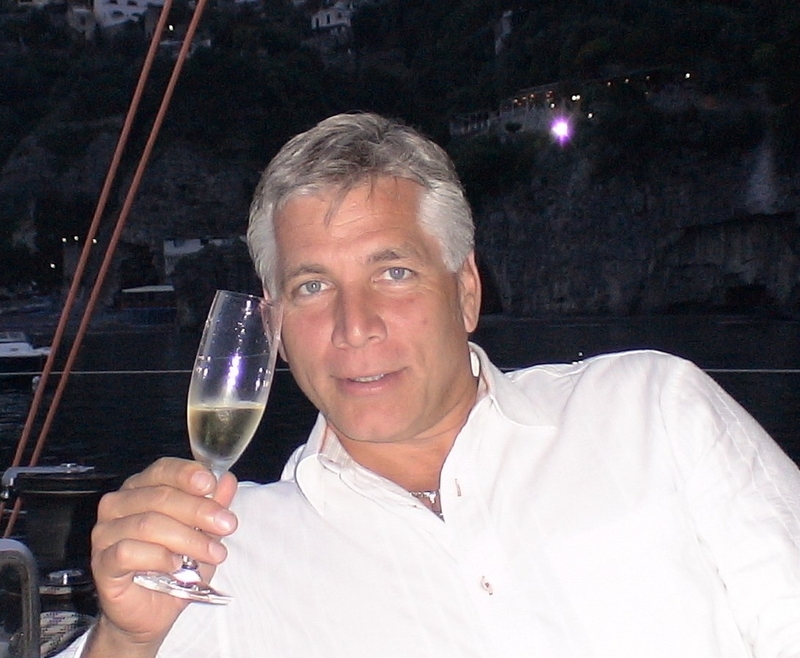 Rudy A. Mazzochiis best known as a medical device and biotechnology entrepreneur, inventor, and angel investor, with a history of starting new technology ventures throughout the U.S. and Europe. He’s been privileged to have the opportunity to see the newest innovations in healthcare and work with some of the most brilliant researchers, scientists and physicians in the industry. You can visit his website at www.rudymazzocchi.com.